Mary Prouty is the top returner from last year's meet, but she will have serious competition for the individual crown. Now in its 37th year, the Wendy's Invitational is a bastion of both North and South Carolina cross country, and one of the biggest PR-producers of any invitational on the schedule. That's doubly true when the course is dry and the weather is cool, and it looks like everything will line up well for super-fast times this weekend! In addition to large numbers of top NC and SC programs, the meet features a sprinkling of strong teams from Georgia, Tennessee, and Virginia, just to add a bit more competition to an already stacked meet. With a field set with 12 girls that are currently already under the 19 minute mark this season and 6 under 18:20, we could see a big group of girls dip under the 18 minute mark. Kathleen Mansure of Watauga comes in with the fastest time this season after running 18:00 for the win at her home meet last weekend. She will be looking for her 6th straight win of the season this Saturday, and she has been running well on courses that are much tougher than McAlpine. Sophomore’s Cate Ambrose and Ashley Fallow of Riverside (SC) will be looking to secure low team points to help lead there team to victory. Ambrose is currently SC #3 with her seasons best of 18:07 comes in second in the virtual meet. She has had a spectacular sophomore campaign and has improved a minute from her freshman year as she looks to improve on her 28th place finish from last year. Fallow has had a huge impact for her team thus far this season as she was not in the top 7 last season for Riverside and is now one of the top girls in South Carolina. She has already improved nearly 3 minutes from last year and is still hungry for more. Defending 2A State Champion Maysa Araba of Carboro will be looking to improve on her 18:15 seasons best from Seahawk and even break 18 for the first time in her career. Lily Anderson of TC Roberson is coming off an 8th place finish at Adidas XC challenge. She has broken 18 many times in her career and could be the one to beat this weekend. She threw down an 18:20 on a hard course at Bumcombe County as she won by a minute over some good competition. Charlotte natives Mary Prouty of Myers Park and Kiley Aymar of Ardrey Kell will also be in the mix. Prouty hasn’t really been in any huge races this year and could post a monstrous time, as she returns after her 4th place finish at this meet last year. 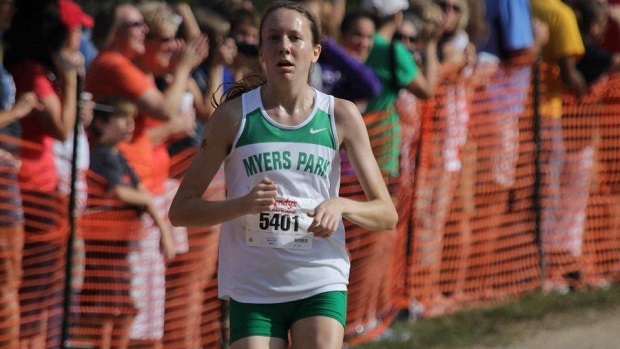 Kiley Aymar has already had a stellar sophomore year and will look for a new PR on the relatively fast McAlpine course. Riverside (SC) looks to be the favorite in the team battle with four runners being in the top 11 in the virtual meet. But Chapel Hill, and Leesville Road hope to say something about it and want to keep the tea title within the state. Chapel Hill based off current PRs has a 23 second 1-5 spread and will hope that their pack of girls can compete with the strength of Riverside. Leeseville Road's girls haven't raced in a couple weeks and will look to prove that they’ve been training hard and that the Virtual Meet means nothing. This race is LOADED with talent with 17 kids already under the 16 minute mark this season, and many others that are very close. Highlighting the field is Myers McKinney of Spartanburg (SC), Kyle Christ of West Johnston and Tanis Baldwin of East Henderson. McKinney comes in with the fastest time this season of 15:07 and will be looking to break 15 for the first time in his career, and improve on his 6th place finish from 2013. Christ is coming off of a breakout performance finishing second at Adidas XC Challenge which really cemented him as a top runner in the state after taking down some stout competition. Baldwin hasn’t really run on many fast courses at this point in the season, but still comes in with the fourth best time of the season. Baldwin is the top returner from last year’s race after he was outkicked by Ian Milder to finish second. Dean Abushouk of Cary has had a great first half of his senior season and will look for a top spot at McAlpine on Saturday. South Carolina also sends Logan Veatch of Wando and Ryan Smith of Mauldin who both have already taken good chunks off of their 2013 PRs. I’d also keep an eye on Ethan Ready and Connor McDonald of East Chapel Hill. Both have already ran well at McAlpine this season and will be looking to go even faster as they reach the midpoint in there season. Mitchell Resor of Weddington ran a 15:54 at a small weekday meet at McAlpine a few weeks ago and I would expect an improvement on that as he gets into a competitive field. Nick and Andrew Ciaccia of RJ Reynolds have both had very strong starts to their senior seasons and haven’t really run on many fast courses this season, and both should be up in the mix for top positions this Saturday. East Chapel Hill and Mount Tabor will have a preview of what could possibly be the top teams battling for a 4A Midwest title at Regionals. East Chapel Hill has surprised some this season as they are currently the #4 team in the state, as have Mount Tabor who is currently #5 in the state rankings. With Matthew Conner of Weddington back at full strength, the Warriors will make it a three team race as they have been improving every meet so far this year. Out of the top three Weddington currently has the fastest #5 runner which could be key to the team title this weekend. Chapel Hill also runs a tight 1-5 spread and will be right in the mix to take the team title. RJ Reynolds has the best top three in the meet, but need to have their 4 and 5 move up if they want to be in contention for the team title. Out of state competitors Wando look to steal the team title from these North Carolina powerhouses, and are very capable of raining on our teams' parades. The term “Open Race” by no means designates it as a less competitive race, as the competition is just as high as it is in the Championship Race. 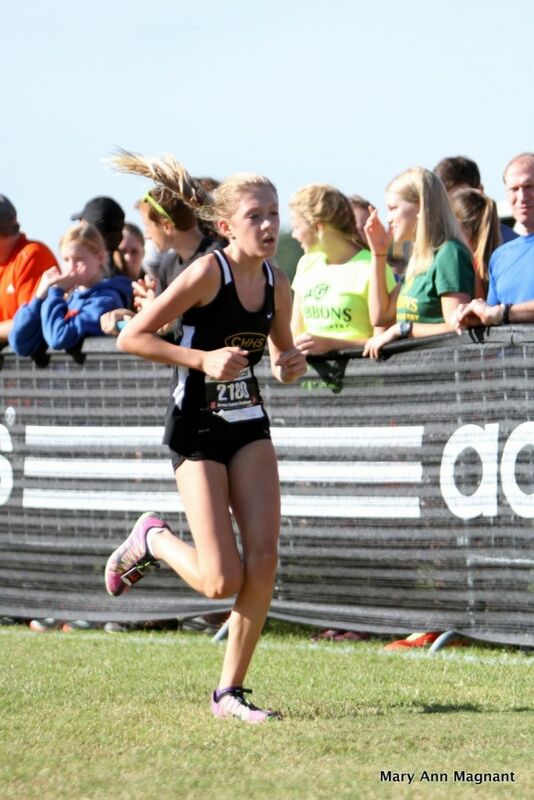 Grace Sullivan from Providence highlights the field with her 17:49 from Seahawk Invitational a month ago. Since then she has had some down time from racing and will look to improve on her 17:38 PR, which is from this course at Footlocker South in 2013. Following Sullivan is Alexa King of Marvin Ridge who is coming off a strong third place finish at the Adidas XC Challenge, and hopes to dip under 18 for the first time this season. The last time we saw Hough’s Maddie McHugh race a hip injury prevented her from finishing the race. After some weeks off we hope McHugh is ready to go Saturday as she will be a top competitor if healthy this weekend. Lake Norman’s Holly Bailey has had a solid start to her sophomore campaign and has already run 18:38 on this course at the beginning of this season. It will be interesting to see how much she has improved thus far this season. Also in the mix will be freshman Mallory Liggett of Hilton Head (SC) and Madison Ellis of Eastside (SC). The two have proven themselves to be the future stars of South Carolina and are looking to run some fast times as they come up to the Tarheel State. How tight is the Girls Open race's team battle? Well the virtual meet separates the top four teams by just 13 points. Hilton Head (SC), Providence, Eastside(SC), and Marvin Ridge are all contenders to take the team title in this race. It could just come down to the matter of a point or two. All teams have a runner ranked in the top 6 of the virtual meet, and their whole top 5 amongst the top 50. Eastside has the fastest 5th runner which could be critcal in a tight race like this. A young Marvin Ridge team didn't fare as well last time that they ran this course, which was at Providence Invitational; however, the Mavericks were not at full strength in that race. 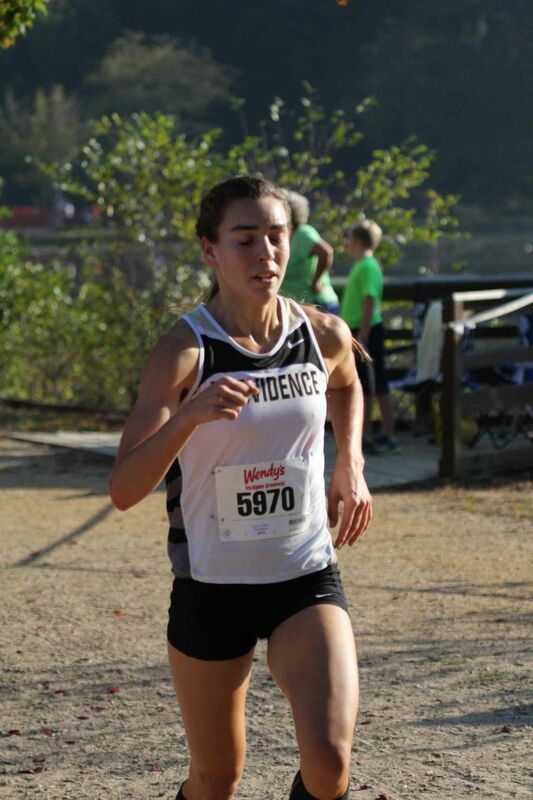 Grace Sullivan for Providence only seems to have raced at 100% effort once this season, and didn't race at the team's last meet. If all of these teams are at full strength it'll be a crazy battle to watch, as it will be anybody's game - just a couple of points could separate first and fourth. Hilton Head (SC) boys return to McAlpine for the second time this season after a third place finish at the Providence Invitational. Ben Gilman has had one of the biggest improvements as just last weekend he busted out a 40 second PR running 15:10! The last two years the Open Race on the boys side has yielded sub 15 minute mark, he looks to be the favorite to do so this year. Teammates of Gilman Eladio Wilkinson and Cisco Ferré come in second and third respectively in the virtual meet and will both look to improve on times from Providence Invitational. A little ways back on the rankings is Dartanian Oakley from Hardin Valley who hasn’t raced much this season, but was 5th place in this race last year. 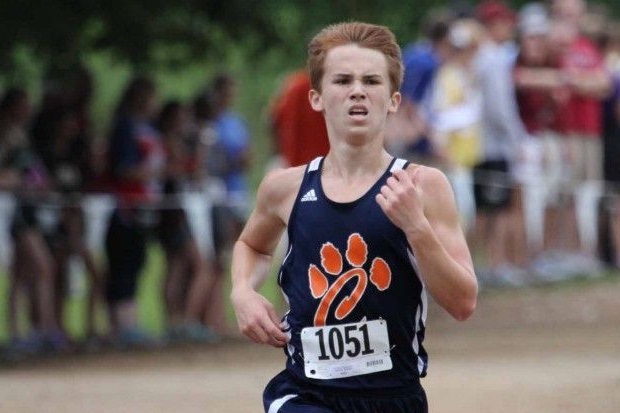 Top North Carolina runners include Jake Blizzard of Marvin Ridge, who broke 16 last year on this course at regionals, and Robert Anderson of Pinecrest, who finished 11th in the race last season. Hilton Head (SC) can put their top 6 runners in the top 10 and will be tough for anyone to beat. It'll be interesting to see how the Hilton Head boys run, as a pack or just as indivduals. Teams that will be battling for second will be Pincrest, Marvin Ridge, and Lake Norman. 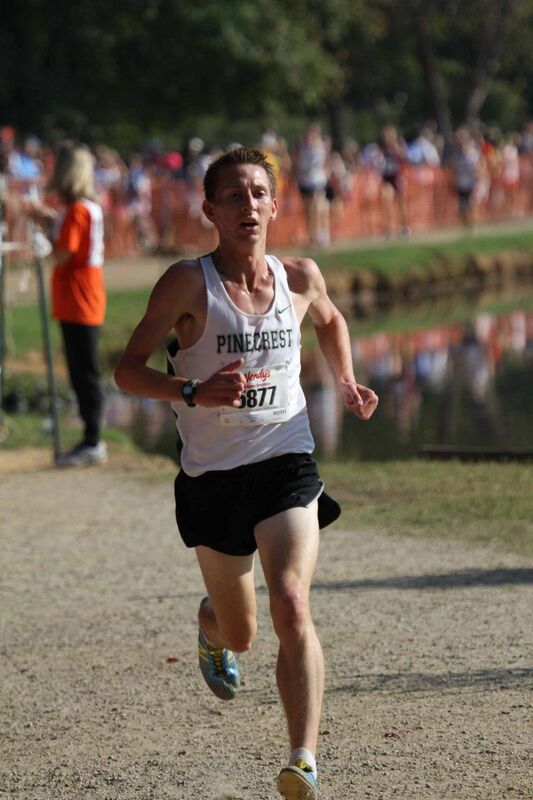 Pinecrest is the returning champion of the open race, and will be looking to take some more hardware home this season. Marvin Ridge is running on a course that they are fairly familiar with, as they run it multiple times a year. They are going to get one last look at this course before the regional meet. Lake Norman return without Patrick Sheehan, who had a breakout performance at this meet last year, as the team hopes to score well as they get one last look at their regional course. The 3A girls race is no lack of competition either. A.C. Reynolds standout Anna Vess, who was the 1600 and 3200 meter 3A state champion last outdoor season, headlines the virtual meet. But virtually equivalent is Mount Plesant's Brittney Stanley, who had a magnificint race at McAlpine two weeks ago as she placed second at Hare and Hounds Invitational. These two should duel it out all race long and it will certainly be great to watch! Both have great closing speed, so we could get a pretty intense battle down the homestretch. Northwest Cabarrus' senior Emma Hand PRed at Hare and Hounds two weeks ago and will be hungry for more, as she eyes to improve on her 7th place finish in this race last year. Thus far Hand has run faster times at meets shes ran both this year and last year, indicating that she is indeed in great shape. Arden Vessie of Corinth Holders and Alexia Noch of Cuthbertson will also be eyeing a top spot, as will Piedmont freshman Jaeden Phelix who has had a great start to her high school running career. The team battle will be a close one between AC Reynolds, Weddington, and Cuthbertson. AC Reynolds is the favorite based off of the virtual meet, and will be looking to run some fast times, Weddington and Cuthberston are very familiar with this course, as home field advantage could play a factor in how the teams race here this weekend. Both teams are also regional foes and are battling for a top 4 spots to qualify a team for states. Cuthbertson girls have had a tremendous season so far compared to years past. 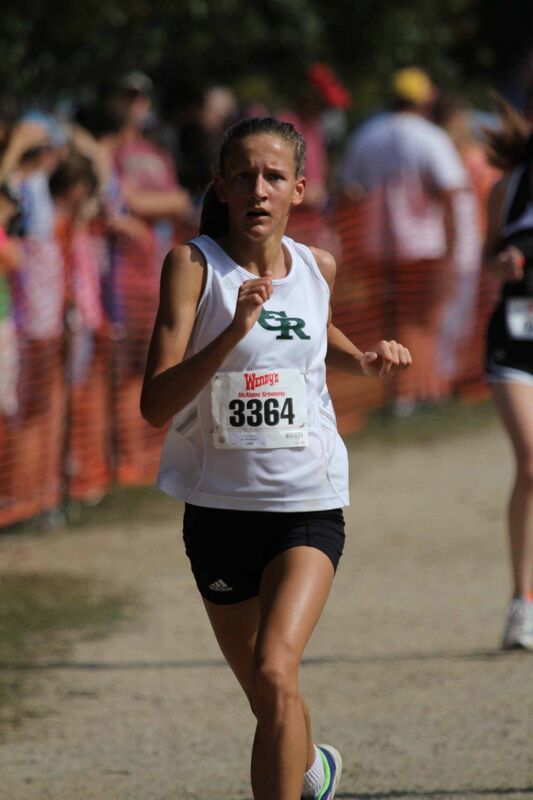 As transfer Alexia Noch has changed the dynamics of the team as they are eeeying at top finish at the regional meet. Zach Boone of Mitchell highlights this field of boys, as the defending 1A State Champion wants to prove what kind of shape he is in; he hasn't really had too much competition this year since WNC. His current season's best is 15:48, but I would expect him to crush that if he goes after it on Saturday. His 3200 PR of 9:06 shows that he is capable of much faster than he has gone so far this season, as he looks to defend his 1A title. East Rowan's Conor Honeycutt improved vastly on his seasons best last week at the Rowan County Championships as he dipped under 16 for the first time running 15:53. 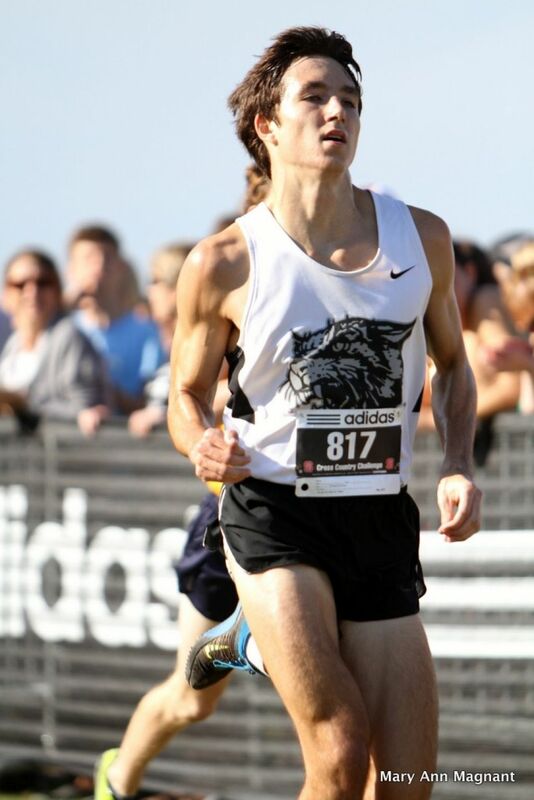 How much faster can this senior go, as he looks to close out his high school cross country career on a high note? Jesse Carson's Zach Marchinko and Alex Cornwall of Hickory Ridge look to duel one last time before they battle it out at the South Piedmont Confrence Meet. This two juniors have had great success thus far this season, and I wouldn't be surprised to see both take a good chunk off of there already impressive PRs. Galax High School's (VA) Cliff Conley has finished first or second at every race so far this season. With fives marks under 16:05, but not under 16 I think Conley is preparing to finally get under the 16 minute mark hes been so close to so many times. Asheville, Jesse Carson, and North Lincoln will be in a close battle for the 3A race team title. Marchinko will be looking to finish as high as he can to lead his team to a team title. Asheville outscores Jesse Carson in the virtual meet by just three points as the reletively young squad looks to go home with the team title. North Lincoln will be right there looking to repeat their 3A team title from last season. If their fifth runner can move up a little ways it will be a big help to their chances to win. Many teams in this race have this as their regional course and will try to get a feel for the couse one last time as they hope to qualify a team to the state championships.